This bedding set for girls comes with a bumper, fitted sheet and a quilt. It fits standard cots and cot beds. The colours makes it feminine but not overly girly, with calming pinks and a grey tone. The pink printed bumper ties easily on to the cot frame with its 8 ties. The bottom sheet is fitted for standard cots and patterned in a complementary coloured geometric print pattern, setting off the bumper wonderfully. 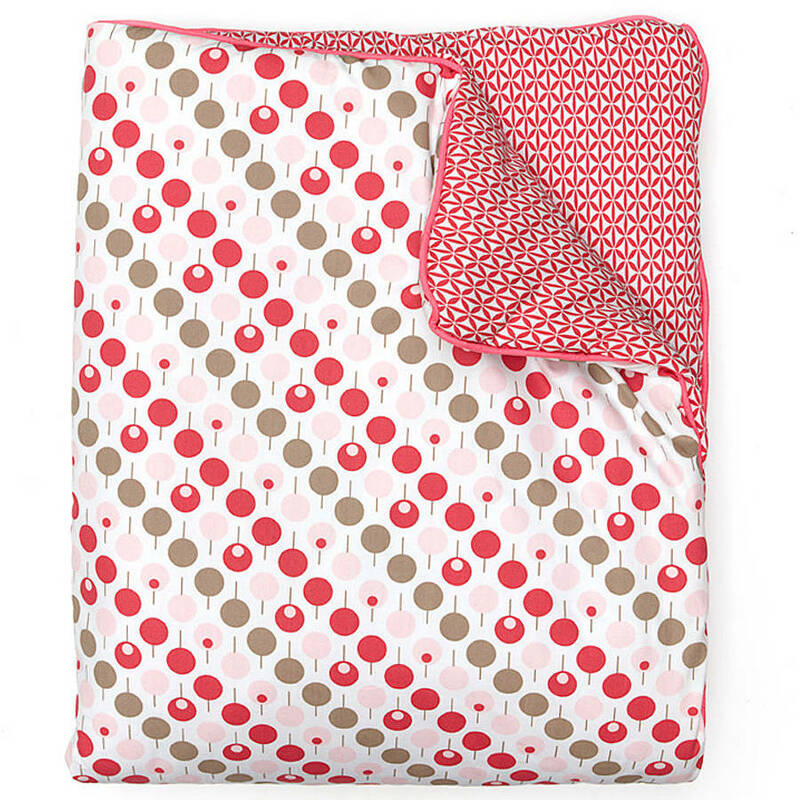 The quilt with its padded filling will keep your child warm in the winter but not too hot in the summer. It is reversible with the lollipop print on one side and a geometric print on the other.